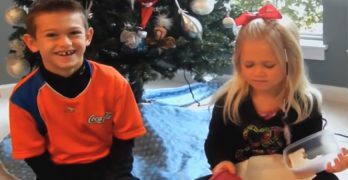 What are we doing for Mother’s Day? 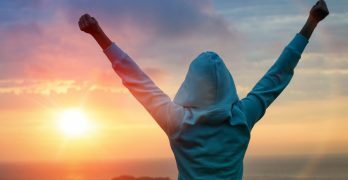 For our family, it means that I’m staying out of the kitchen. 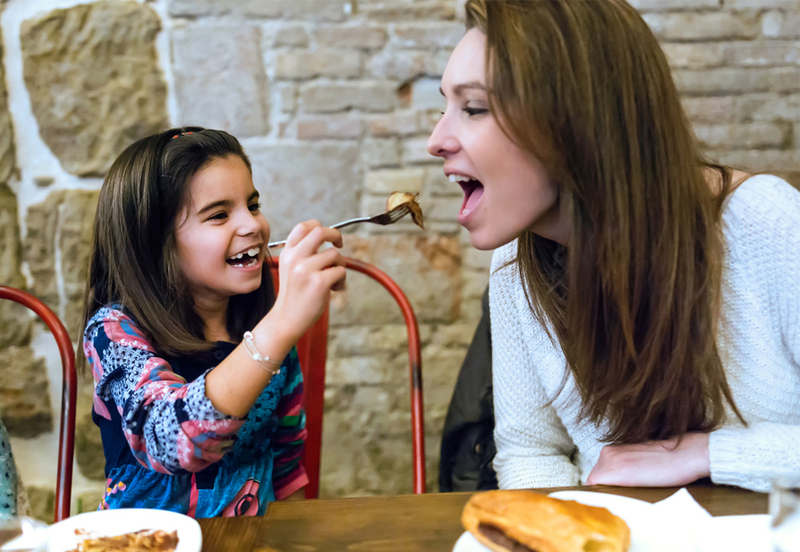 Mother’s Day Brunch is a tradition for many families, whether it’s at home with the kids creating your favourite pancakes or heading out to a local eatery. 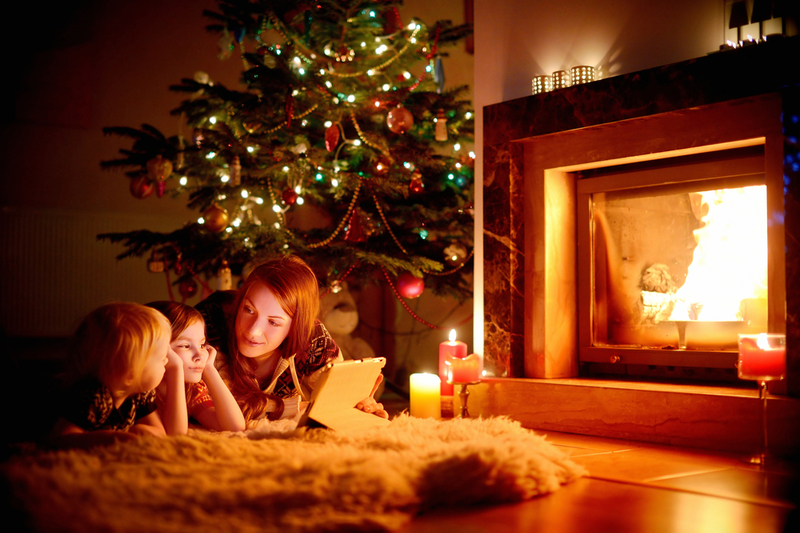 We moms just love the family time—and the not cleaning dishes part. If you’re thinking about heading out to a restaurant for Mother’s Day, here are some of our favourite and most beautiful spots in Toronto. Just be sure to make your reservations ahead of time. You may want to print this out and leave it on the kitchen counter—Happy Mother’s Day to you! 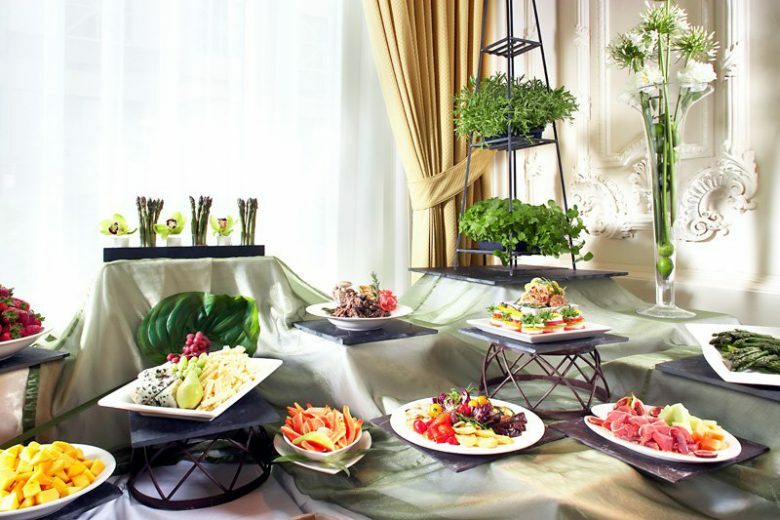 Omni King Edward Hotel: (37 King Street East) Sunday Brunch is a time honoured tradition at one of the city’s most historical hotels and Mother’s Day is one of their most popular. 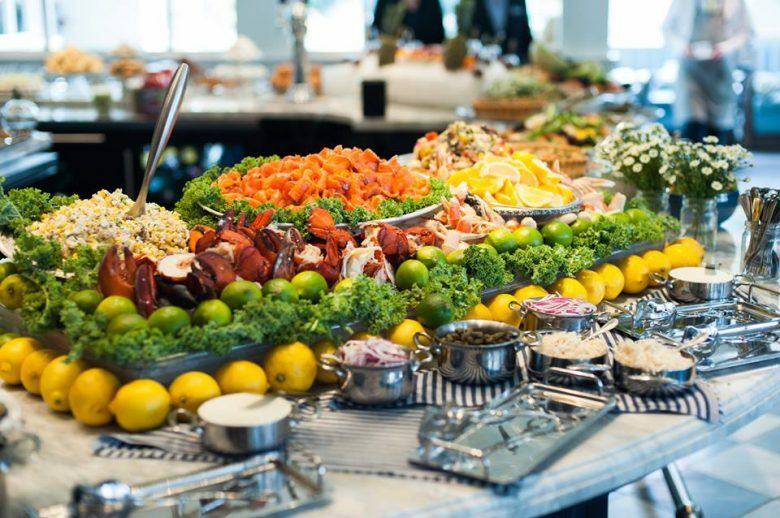 Held in one of the hotel’s stunning and recently restored ballrooms, there’s plenty of choice at this buffet style brunch. 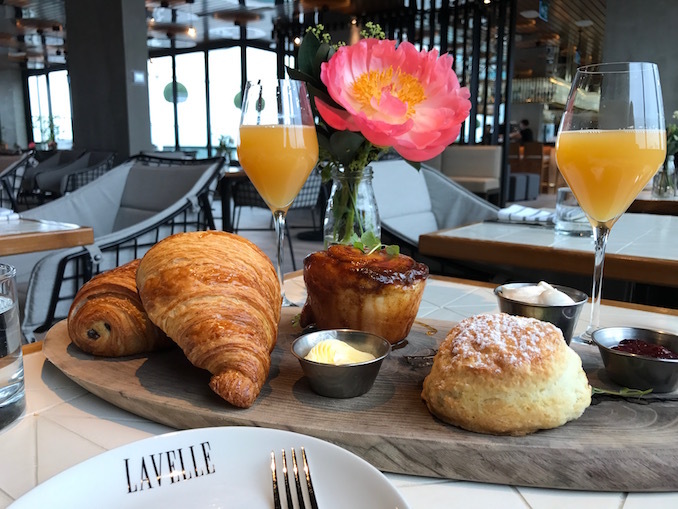 Lavelle: (627 King Street West) This roof-top level restaurant located at King and Bathurst has a sweeping view of the city. Weekend brunch must include the freshly baked French pastries—the warm buttery croissants are dreamy. Pork Belly Benedict is delicious and the Fried Chicken & Waffle is mouth-wateringly good. Buttermilk pancakes with wild blueberries will always be a brunch time pleaser. Colette Grand Cafe: Located at the Thompson Hotel, this French style cafe has lots of space to accommodate families. The grand brunch on Sundays includes fresh seafood, an omelette station and oodles of desserts. Service is always on point and we highly recommend a takeaway of their croissants from their bakery for the next morning. 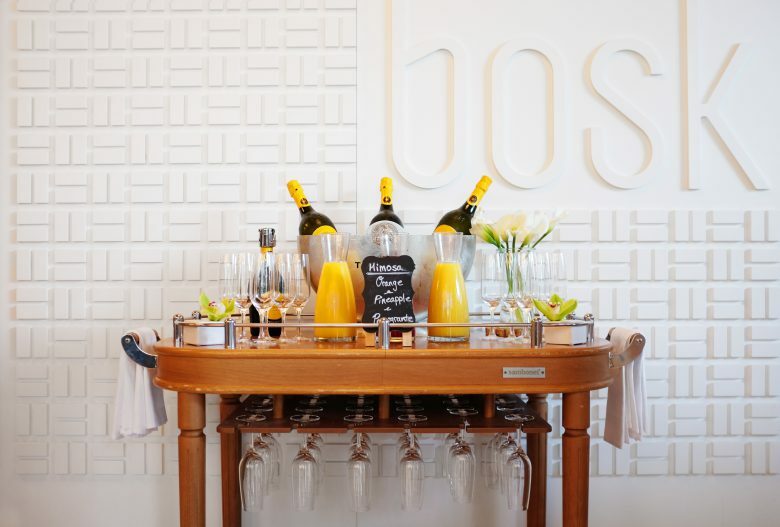 BOSK at Shangri-la Hotel: (188 University Avenue) This stylish restaurant located in one of Toronto’s most luxurious hotels recently launched the “Benny Brunch” that features 10 Eggs Benedict variations worth checking out. Other entrees also include Wild Pacific Salmon and the “Morning After,” which has all the fixings for a hearty brunch. Take note of the Mimosa Trolley. Yes, you can park that right next to me. Thank you. Patria: (478 King Street West) The walkway leads you to this beautiful hidden gem off the busy street front. 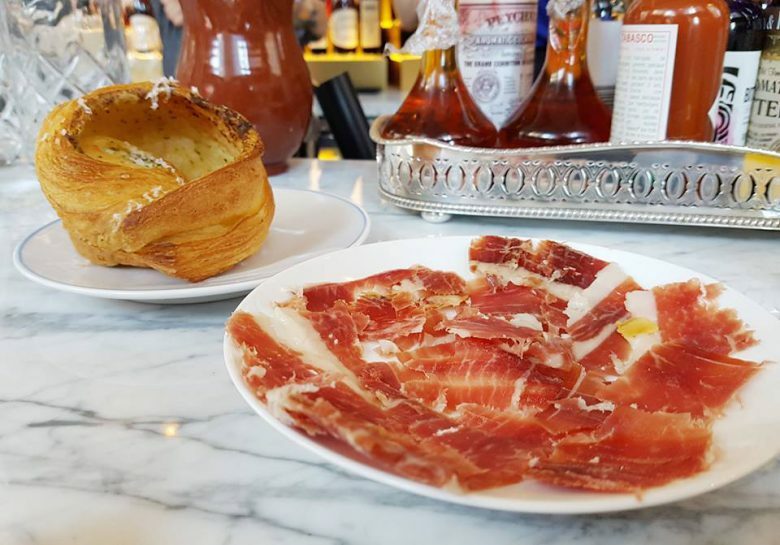 The Spanish influenced menu has many tasty plates worth sharing including Croquetas de Jamon, empanadas, delicious Manchego cheeses, and the popular blistered Padrón peppers. Brunch includes the familiar ingredients of the country. Don’t forget the Cava! 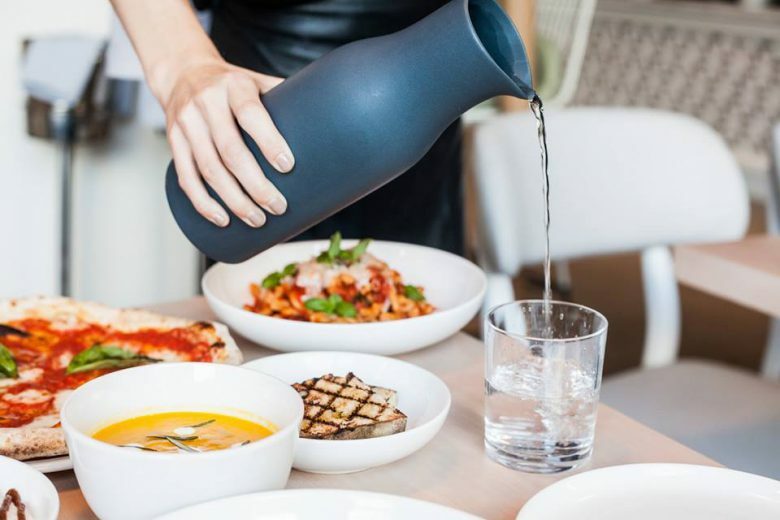 Figo: (295 Adelaide Street West) This airy and bright space is a great Italian inspired restaurant serving delicious wood-fire pizzas and yummy pastas alongside fresh seafood and meat dishes. Weekend brunch serves up classics with a modern touch. Prix Fixe brunch also available. Luckee at Soho Metropolitan Hotel: (328 Wellington Street West) Celebrity Chef Susur Lee gives dim sum (Chinese brunch of little sharing dishes) a “nouvelle chinoise” approach in this beautiful restaurant that reminds us of tea houses in Shanghai. Elegant and glamorous but warm and inviting. 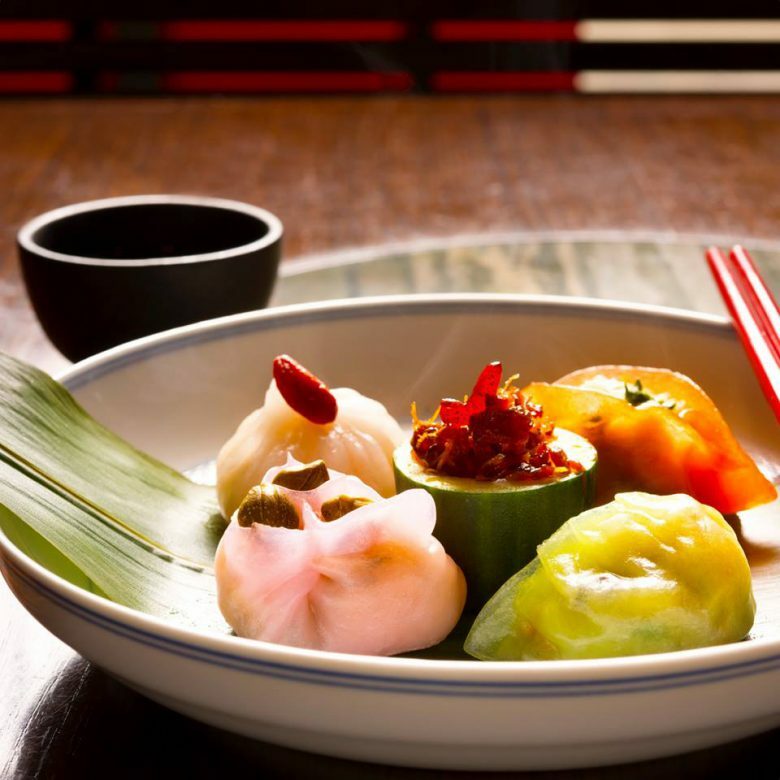 You’ve never had dim sum quite like this before. Lena Restaurante: (176 Yonge Street) This lovely corner restaurant with tall ceilings takes brunch to another place. 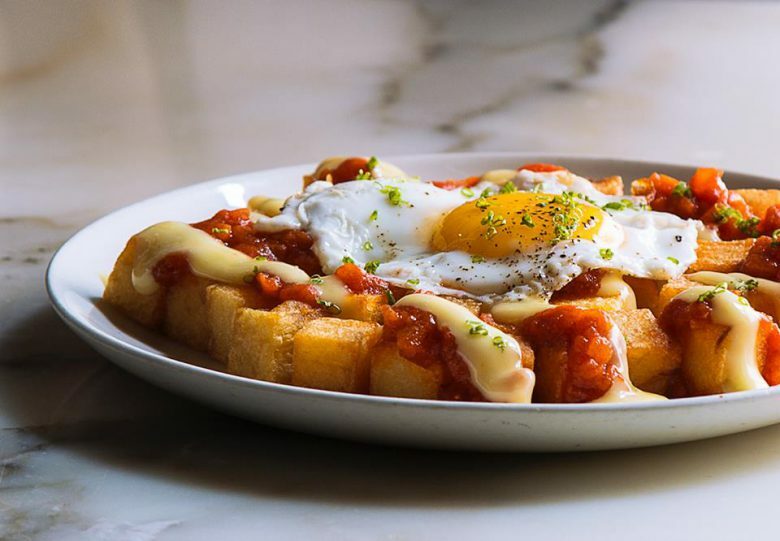 Chef Anthony Walsh draws his culinary inspiration from his Argentinian mother-in-law and brings South American and Spanish influences to this warm and inviting restaurant, where you’ll feel like you’re on vacation. Try the Full Gaucho and Seville Orange Crepes and don’t forget the mimosa. La Societe: (131 Bloor Street West) Yorkville is known as the “Mink Mile” for good reason. Pass by all the designer shops perfect for window shopping and then rest your heels at this lovely second story restaurant. Weekend brunch includes many familiar traditional French dishes. Kids love the Croque Monsieur and I’m always drawn to the Nicoise salad which takes me back to the South of France. 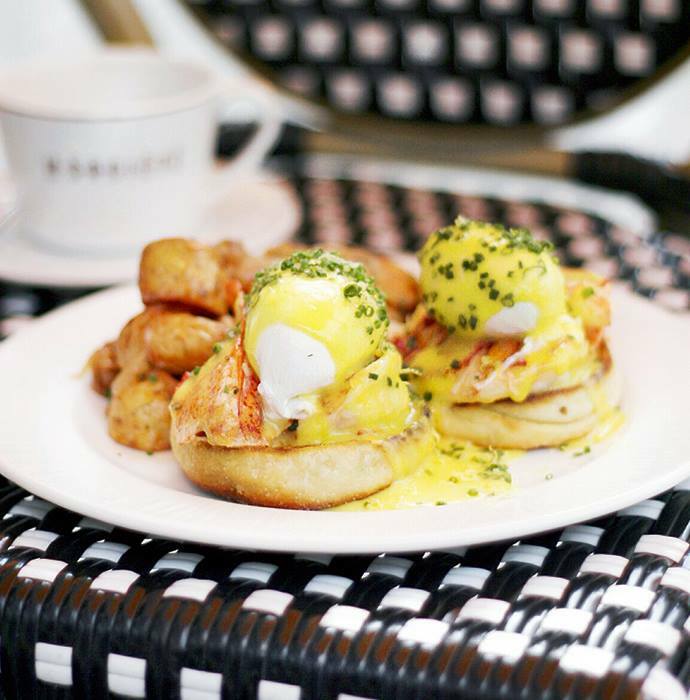 Splurge and get the Lobster Benedict. 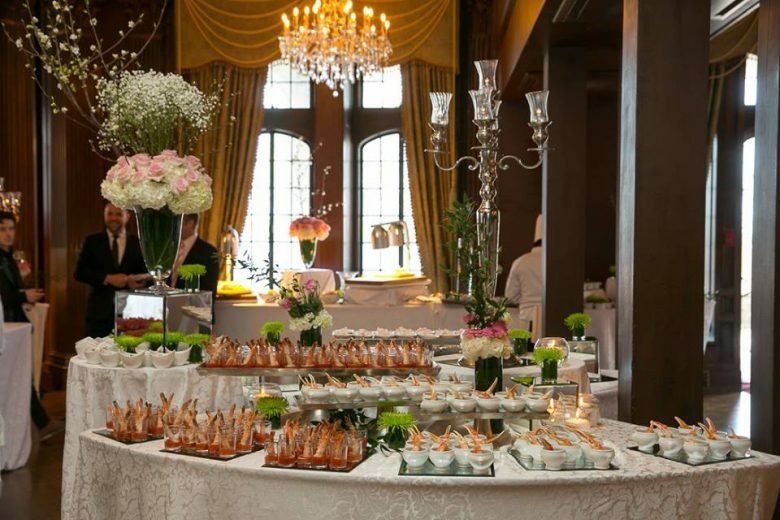 Casa Loma: (1 Austin Terrace) Mom will always feel like a queen at this traditional buffet brunch in the city’s most famous castle. Splurge on this popular annual brunch affair and then wander the grounds. Admission to Casa Loma is included.